Over the past week, Shanghai has transformed from a warm, humid, sunny paradise to a rainy, cold, grey icebox. Okay, so ‘icebox’ might be a bit of an exaggeration, but the change the weather has undergone is astonishing. I think it must have picked up on the fact that all Chinese language students in universities across Shanghai had to sit their midterms this week. Including me, of course. So, in preparation, I took the week off work and holed myself up in the cutest café ever, right by Fudan. I set out to ‘review’ all 320 characters taught to me over the past 2 months. 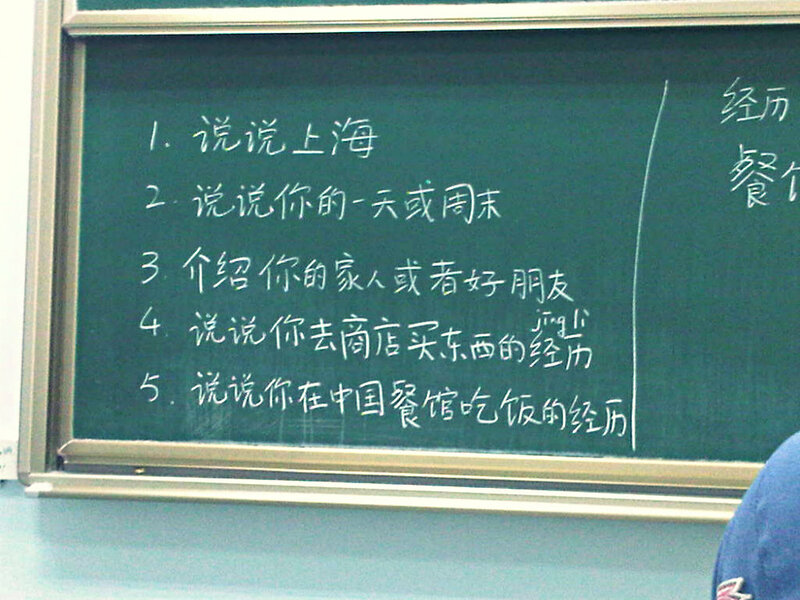 Luckily, our listening and speaking teacher had been kind enough to tell us the 5 topics we would randomly choose from for our speaking exam. So, I prepared little 3-minute speeches for each. Turns out that I actually learned quite a lot! I blindly picked the dreaded fifth topic. After waiting for 3 hours until it was my turn to talk (sometimes having a last name that starts with ‘v’ is really quite annoying), I stuttered on for 3 minutes about what Chinese dishes I like and how concocted some story about how my flatmate and I ate at a small restaurant close to our apartment. And about how I didn’t like the super cheap Fudan-canteen food. Man was I glad when it was over. My other three exams, however, went relatively well (inshallah). 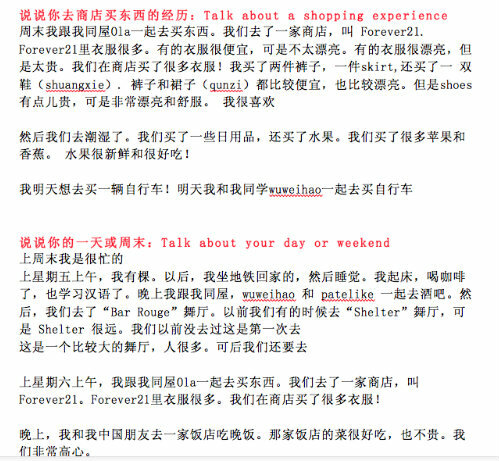 My mind didn’t blank when I saw the mumbo-jumbo of Chinese characters, and I seemed to have remembered some basic grammar too. What makes the grammar so difficult is that the sentence structure here is usually the complete opposite to the English format. For example, while we say ‘We bought a lot of clothes at the store’, they say ‘We at the store bought a lot clothes’. ‘I have class tomorrow’ becomes ‘I tomorrow have class’. And when mentioning when your parents are coming to visit (yay!) you say ’11 month, 22 days, my parents planning on to Shanghai traveling’. Dates, however, are relatively easy to figure out. There are no separate words for the weekdays, for example, Xīngqī (星期) means week, and so xīngqīyī (yī meaning 1， 星期一) becomes Monday, xīngqīèr (èr meaning 2，星期二) becomes Tuesday, and so on. The months work similarly: my parents are coming in November, so that becomes shíyīyuè (十一月）or ’11 month’ (shíyī = 11, yuè = month). I never thought learning another language would be this complicated. 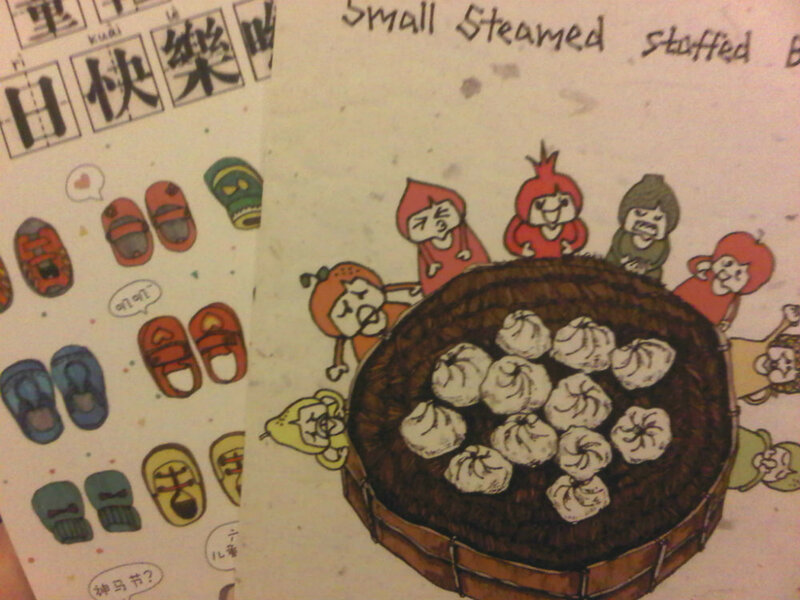 As a little break in between my studies, I browsed the hundreds of postcards my new favorite café sells. I’m still convinced nothing beats a handwritten letter (yes, I’m an old-fashioned 21-year old). Now that my midterms are over, I will officially be moving up to Level B as of next week! A look through my book shows me I’ll be learning things like “I am going to the airport to see a friend off”, and “I’m full”. I think the latter is especially useful in a country where food is ridiculously cheap and amazingly delicious. I’ve been taking photos of some of the dishes we’ve been eating, so you can be sure a post about the food in Shanghai will follow shortly! You Chinese is impressive, Renee! Glad you are having good time in Shanghai and looking forward to talking to you in Chinese, haha.